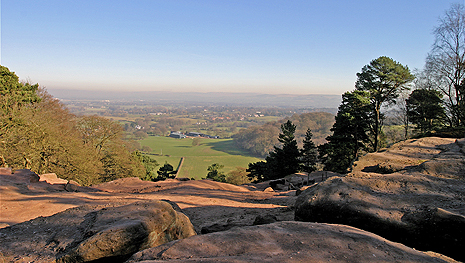 Way back in the mists of time, my parents took me and my brother on holiday to Alderley Edge. There were only two reasons we'd chosen the place that summer, had insisted on it, and those were Alan Garner's books, set so firmly in the landscape. We visited The Wizard (too young then to go in for a pint), raced around on the Edge itself, and drank from the Wizard's Well ("Drink of this and take thy fill, for the water falls by the Wizard's will"). My brother and I were emphatic: no water had ever tasted like it. I remember my mother rolling her eyes at my father, and saying, "Isn't it lovely to be young?" We thought she was taking the mickey, and protested as much. She insisted she was perfectly serious. Now, of course, I know exactly what she meant, and with the benefit of hindsight I agree. It was damned lovely to be young, and immortal, and right there in a place where the enchantment was ready-woven. I was almost as hesitant about re-reading the books. It's not that I haven't read them several times over the years, but suddenly another visit became more imperative. 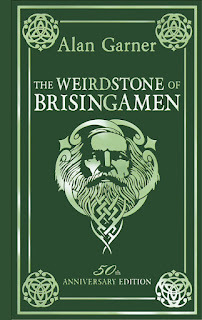 Now, Garner himself is by some accounts a little dismissive of The Weirdstone in particular: Colin and Susan are notoriously two-dimensional; some of the language is a little flowery; it all belongs to another time, literary as well as linear. But Alan Garner's BONELAND comes out in August. I can't tell you how excited I am. The Moon of Gomrath ends on what nowadays would be considered an unsustainable cliffhanger - unsustainable for fifty-odd years, anyway, which is how long it's taken Alan Garner to come up with Book Three. We were never promised another book (quite the reverse, in fact), but I always ached for a conclusion. And now we're getting one. So in preparation, back I went to the books that in large part defined my childhood. Did I regret it? Not for a moment. Do I feel qualified to analyse and criticise at the distance of all those years? Nope. Did I abandon work and my children for two days, just to find out yet again what I knew was going to happen? Hell, yeah. I'm not even going to mention the plot, either the parts that terrify or the parts that make me blub. If you already love them, you know those bits; if you don't, I'd hate to spoil it. I read The Owl Service and Elidor, and though I loved them, and can appreciate that they are 'better' books, they didn't grab me by the guts in the same way the Alderley books did. I should really get around to Red Shift and Thursbitch, too. But I doubt they'll ever have the place in my heart Alderley did. Actually, some day maybe I will take my life in my hands and go back to Alderley. The fact is that, because of the enduring power of those books, I can still almost believe that svarts and palugs and bodachs lurk there even now, in the mines and the woods and the bogs. And far below the Edge, there'll be those knights and their milk-white mares, waiting out the centuries for their terrible moment. Such a wonderful post! Shows exactly how fiction can inhabit our own lives. I'd picked up murmurings of "Boneland" coming but wasn't quite sure when so thank you for letting me know it's August. Just enough time to re-read the originals before Boneland arrives. 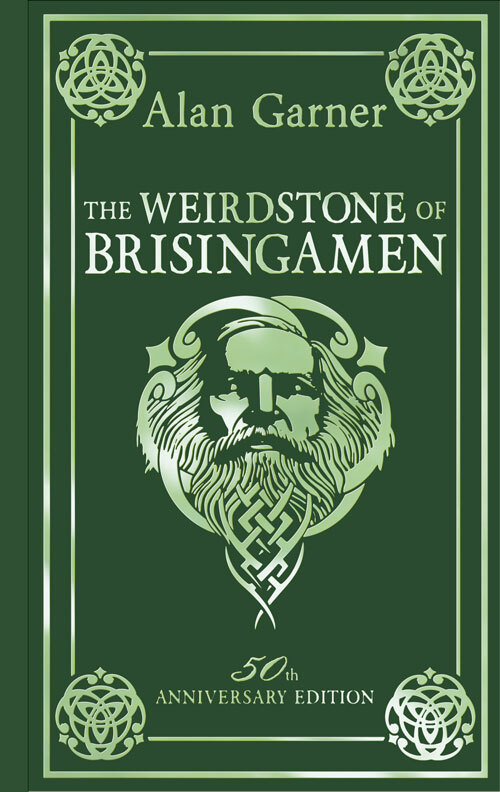 I love love love Moon & Weirdstone - and The Stone Quartet as an adult. Some books inhabit your soul & those are two of my in-dwellers. Thanks for the post, Gillian. No, don't go! 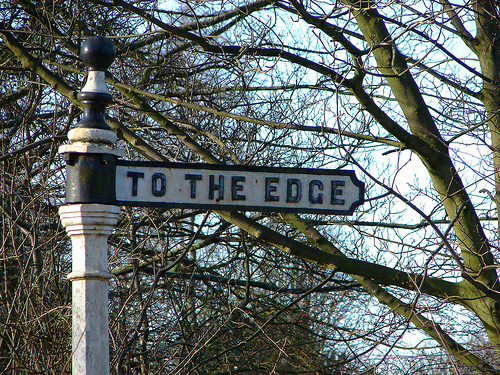 I've driven past - didn't actually stop - but found myself thinking How can this be the place where all those exciting, terrifying, magical things happened? It's far too 'normal'. Best not to disturb your childhood memories. I'm a big fan of Alan's writing and I live in the same neck of the woods in Cheshire. I've recently spent quite a bit of time with his wife, Griselda, and daughter, Elizabeth, who have been running a fantastic writing course. Griselda says Alan's new book ISN'T a children's book - although it does take over from the previous two. I would thoroughly recommend Thursbitch to you. It definitely isn't a children's novel and it's one of the harder books to crack dialect-wise but it is one of my favourite novels. Oh, thank you for all your comments - yes, they are 'soulmate' books. And I will definitely make time to read both Red Shift and Thursbitch, at the very least - something I've meant to do for SUCH a long time! Didn't know there was a new Alan Garner book coming out, so thanks for that, Gillian! I loved the Alderley books too. I re-read The Owl Service recently and enjoyed that much more than first time round... must have another go at Thursbitch, which I must admit I couldn't get on with before. I never liked Red Shift - tried to read it again last year and still couldn't. The hero annoys me too much. But the Alderley Edge books - and Elidor - yes!